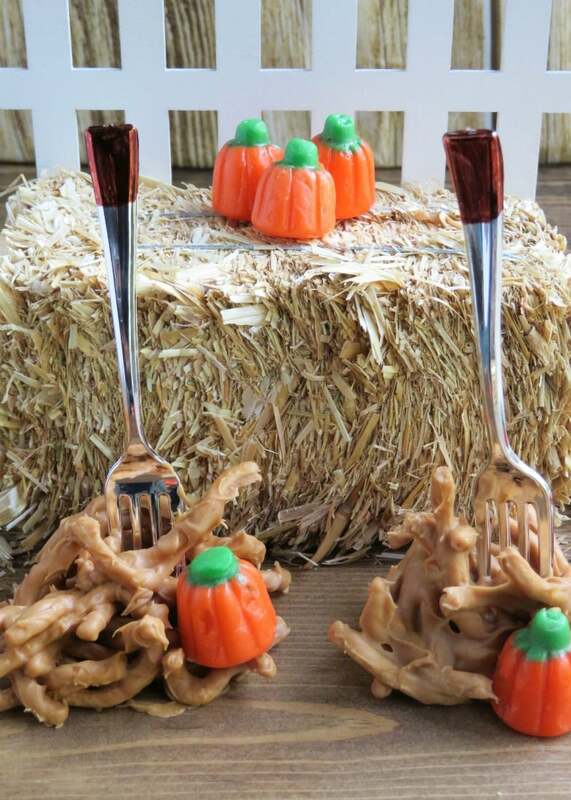 These adorable fall peanut butter haystacks are the perfect centerpiece for your Autumn or Halloween gathering, and the kids will love helping you make them. 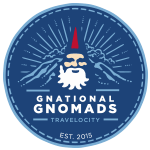 As you’ve probably read here before, I moved to Florida from Maryland nine years ago. When I lived in Maryland, Fall festivals were a very big thing. In fact, we had a 4-acre pasture and since we never got horses, we just let the hay grow. 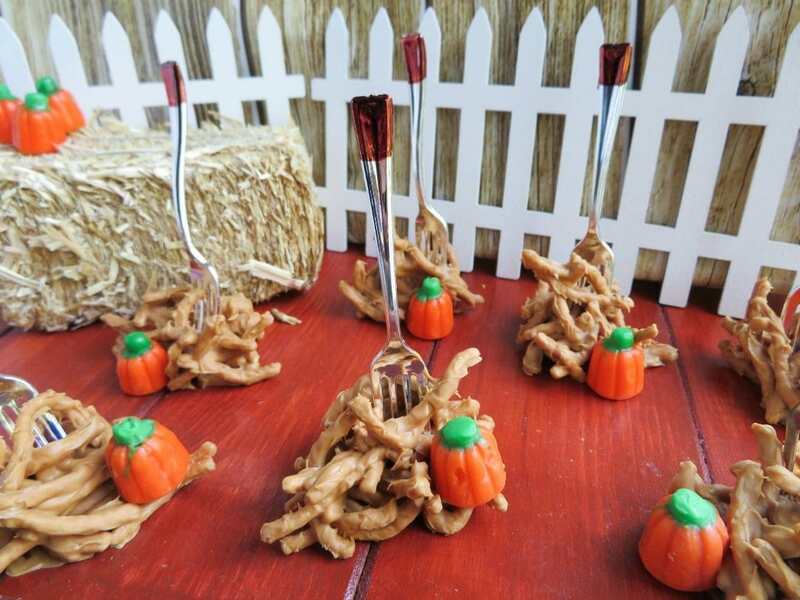 As it got closer to Halloween, my husband would cut a maze through the pasture and put plastic pumpkins filled with candy at different spots so the kids could fill their trick or treat bags. It was great fun for everyone, with the parents drinking wine and munching on appetizers while the kids played. One year we all went to an orchard and picked apples together, heading to my house with our baskets to have an apple pie blind tasting contest. Not knowing who made which pie made for a fair contest, and my recipe from Emeril won. It’s such an easy recipe and never fails me! 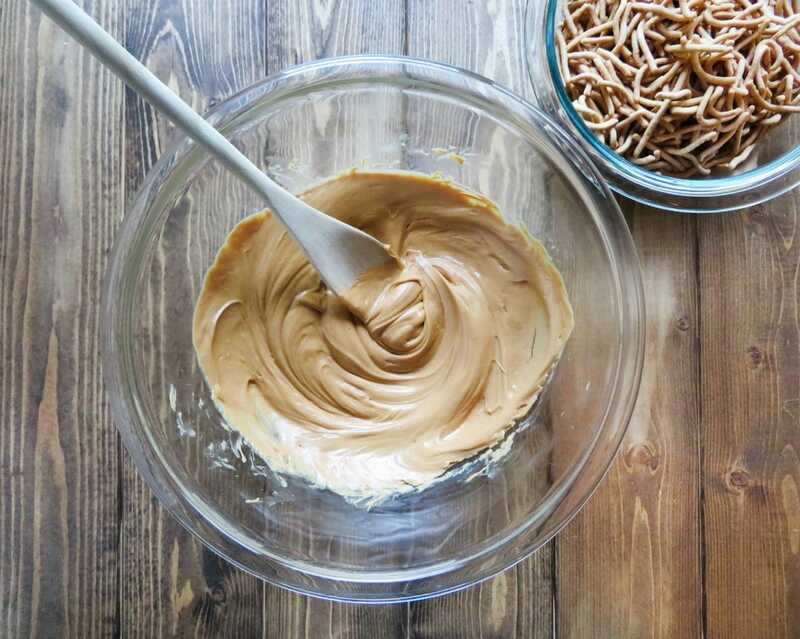 Sometimes baking is about the fun of it, and these fall haystacks made with chow mein noodles and peanut butter are so easy, even the littlest of kids can help, and older children can head up the whole process. 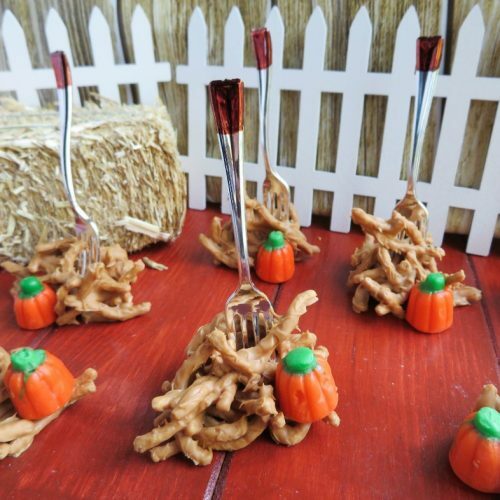 Serve these to the kids for dessert on Thanksgiving and they will gobble them up! Okay, maybe I went too far there, but these really are delicious and won’t take more than five minutes to make. Enjoy! This step is optional. Take your brown permanent marker and color a “handle” on the top of the “pitchfork”. Let dry. Take your candy melts and put them in a microwave safe bowl. Microwave for 30 seconds and then stir, continue to do this until the candy melts are melted. 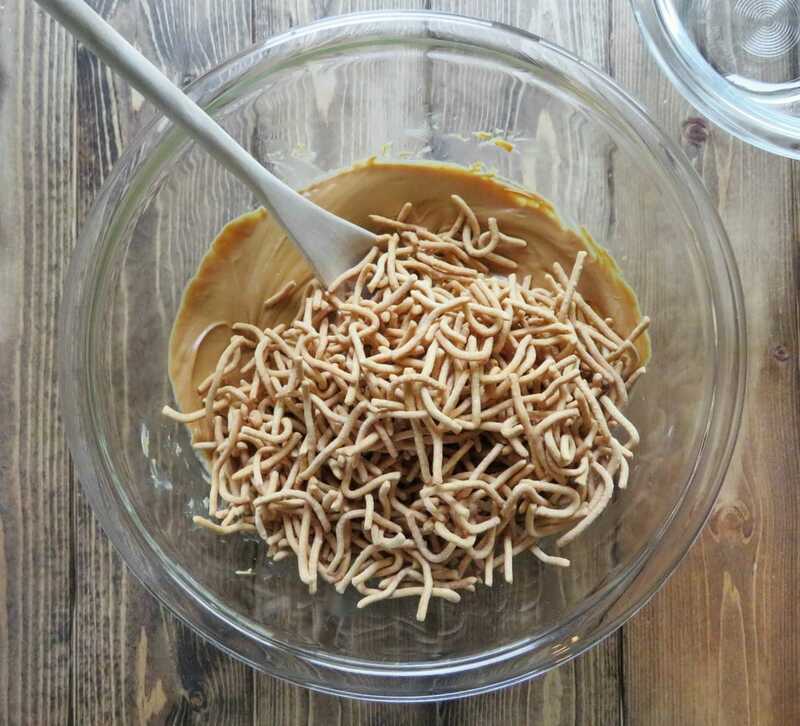 Add your 5 oz can of chow mein noodles and stir until all noodles are coated. 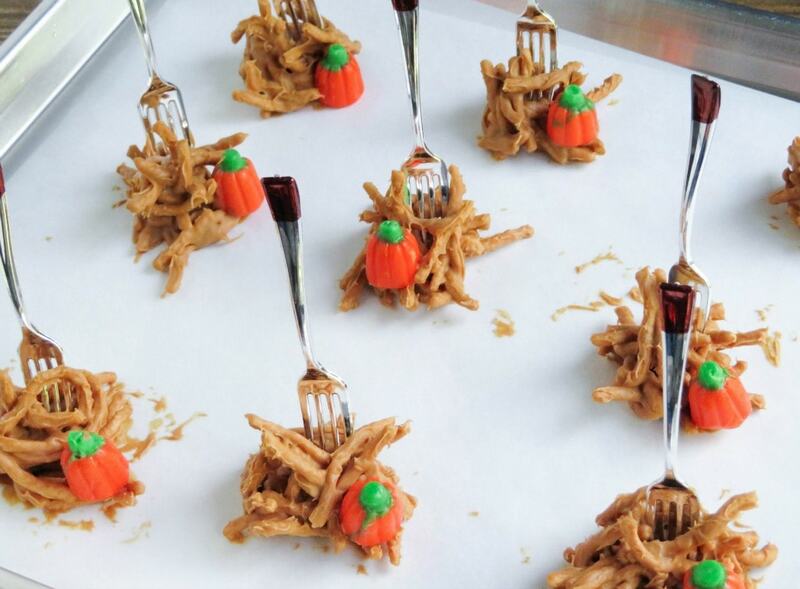 Drop by teaspoon on a parchment covered cookie sheet. You can take your fingers and stack a few up or keep them all flat. Take your “pitchfork” and stick in the haystack anywhere you’d like. Cool in refrigerator for about 5 minutes or until hardened. Enjoy!! 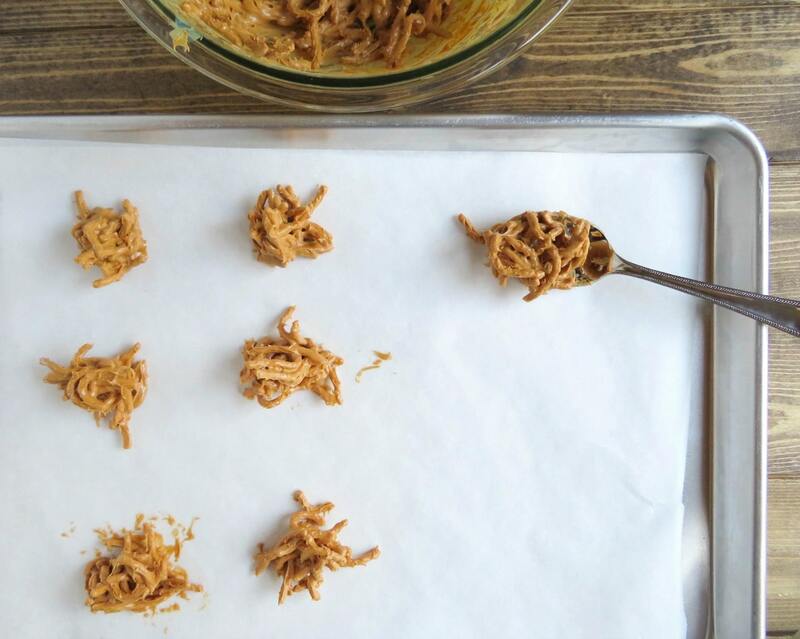 This recipe makes about 2 dozen haystacks. 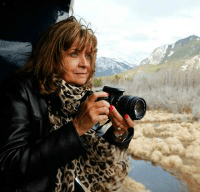 Looking for more delicious and easy recipes for fall? Here’s a handful I think you’ll like! 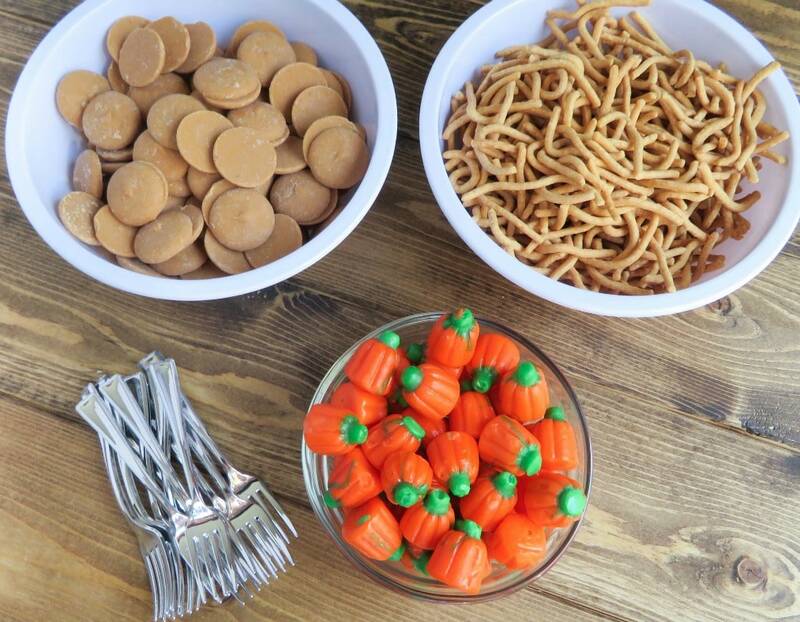 Ready to start decorating for fall? 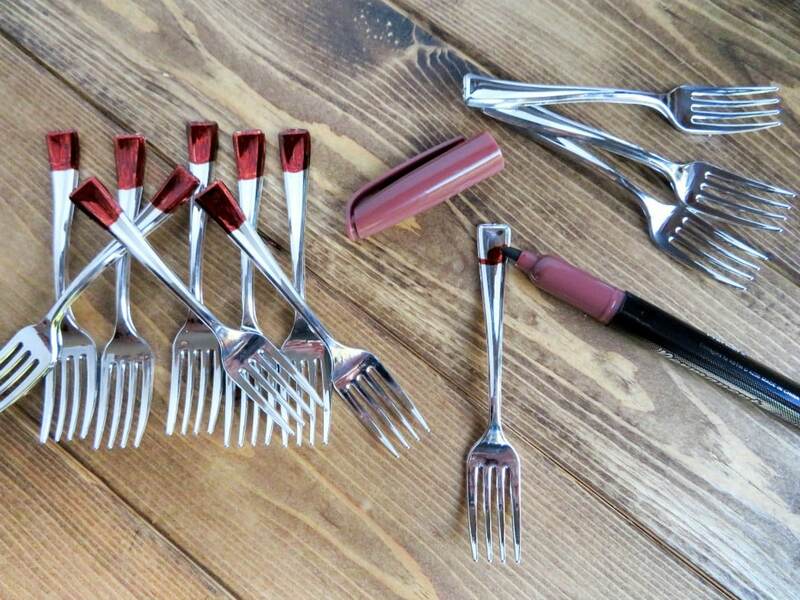 Check out these easy DIY projects! Below is a printable recipe to save for later. 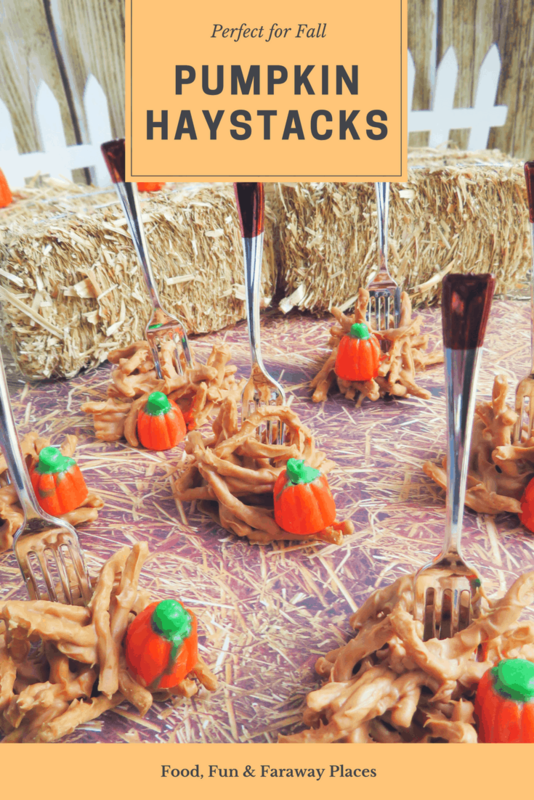 These adorable fall haystacks with peanut butter are the perfect centerpiece for your Autumn or Halloween gathering, and the kids will love helping you make them. Take your brown permanent marker and color a “handle” on the top of the “pitchfork”. Let dry. 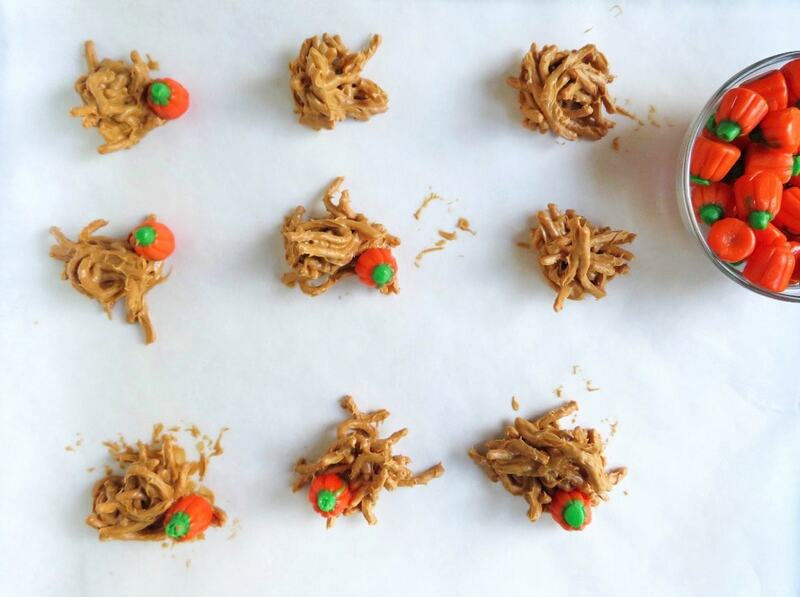 Take your candy melts and put them in a microwave-safe bowl. Microwave for 30 seconds and then stir, continue to do this until the candy melts are melted.